Reverend Henry Whitehead (1825-96), shown here in 1884 at age 59, was born on September 22,1825 in the seaside town of Ramsgate (middle center ) in Kent by the Straits of Dover. His father was master at Chatham House, a small public school in the area. Henry was the eighth of ten children and grew up in the school, where later he became an assistant master. In 1847 at age 22, he left home and his potential teaching position to attend Lincoln College, University of Oxford. It was here that he made up his mind to enter the Anglican Church. After obtained his B.A. in 1850, he left for London to seek ordination. His first employment was as assistant curate (e.g., junior priest) with the Vicar of St. Luke’s Church, Berwick Street (center right, labelled “ch” above King Street ) in Soho, London, near the home of Dr. John Snow and the future site of the Broad Street cholera outbreak. Saint Luke’s had been completely rebuilt in a decorated Gothic style in 1838-9 and was popular in the parish that included Broad Street and its environs. 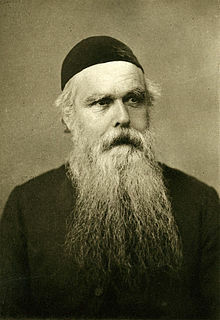 Following his ordination as a deacon in 1851, Whitehead took up his duties among the residents of the crowded slums of the Berwick Street area and became a welcome visitor in the homes of his parishioners. His friendliness and social acceptance would proved to be his greatest asset when the outbreak occurred that August of 1854. When Whitehead walked through his Soho neighborhood, it was usually a meandering, sociable one: he stopped at the local coffee shop where machinists from the local factory ate. He stopped and visited parishioners in their homes. He even stopped by and visited inmates at the St. James Workhouse, where 500 of London’s poorest citizens lived and were forced to do hard labor. Whitehead sometimes stopped off at the Eley Brothers factory where 150 employees worked producing the new “percussion cap” that enabled firearms to work in any weather. The Crimean War was raging and business was good for the Eley Brothers. At the Lion Brewery on Broad Street, the 70 workers did their jobs while sipping malt liquor provided to them as part of their wages. Reverend Whitehead knew most people by name and his walk would involve a steady stream of sidewalk and parlor conversations. In the early morning and at nightfall, his parishioners would pour into St. Luke’s for daily services. After services, people would flock to the various street vendors around the church. But one single location seemed to be at the center of it all. One of life’s great necessities. The best tasting water in Soho. It came from the Broad Street Pump.